In the world of software development, the concept of open-source — which allows for any IT developer to build and improve on code for the benefit of all — is an ideal that is very appealing. This concept has underpinned some of the most successful operating protocols available today, from Linux, right through to EOSIO. But what would happen if IT developers were incentivized to build on the code, with rewards available for the solutions they found to improve the protocol? 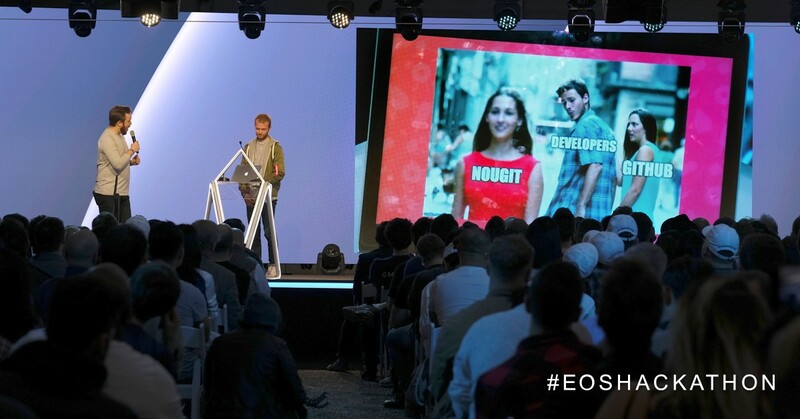 That was the tantalizing scenario proffered by the team behind NouGit, the winning project at Block.one’s EOS Global Hackathon event in San Francisco earlier this month. 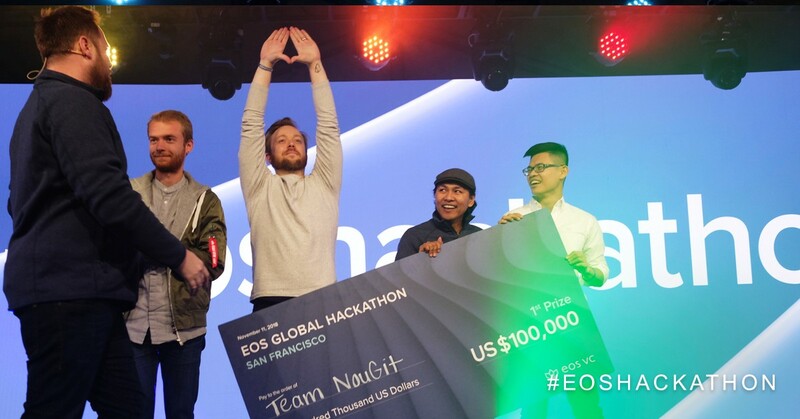 Challenged to build an EOSIO application that “aligns interests among stakeholders and / or drives more value back to users,” NouGit beat off stiff competition from 74 other teams to carry off the top prize of US$100,000. Their project is a Git repository — essentially a system for tracking and co-ordinating changes to source-code in files and software — that is decentralized and incentivized. “Open-source developers have been the backbone of the tech industry for the last 30 years and NouGit is going to provide a way for open-source projects to create monetary value for themselves and not Microsoft and IBM,” says Rob Behnke, a serial entrepreneur and member of the five-strong NouGit team, who will now compete in the hackathon’s Grand Finale event in Cape Town, South Africa, next month. By way of reference, recent months have seen Microsoft and IBM acquire two of the world’s largest open-source development platforms in multi-billion dollar deals. Microsoft bought GitHub for US$7.5 billion, with IBM paying US$34 billion for Red Hat. Behnke believes these “centralized” models do not maximize the potential for collaboration, however. “Decentralization enables the platform to flourish and progress the open-source philosophy,” he says, explaining that NouGit’s bounty program aligns the interests of project managers and contributing developers. Recording all of these code submissions and transactions on the blockchain, meanwhile, creates a “trustless” environment that keeps project managers honest. Together, Behnke and his collaborators — Colby Gilbert, Fred Madrid, Mike Lin and NicoLae Carabut, who is originally from Moldova — combine expertise in software engineering, cryptos, fintech, finance and UI/UX design. Their focus on improving the open-source model can be seen as a reflection of their organic formation via the EOSIO and wider blockchain community in San Francisco, and their passion for blockchain’s transformative social and economic potential. The end-result is a project that is very much designed from a developer perspective, with developers in mind. So what lessons will they take away from the experience as they seek to make NouGit production-ready? “Putting together the right team and trusting your team-mates is one big lesson,” says Behnke, adding that the EOSIO community is the “most infectious” in the industry.